To conclude Zenith’s 150th anniversary celebrationson a high note, the Manufacture presents the new Elite 6150. 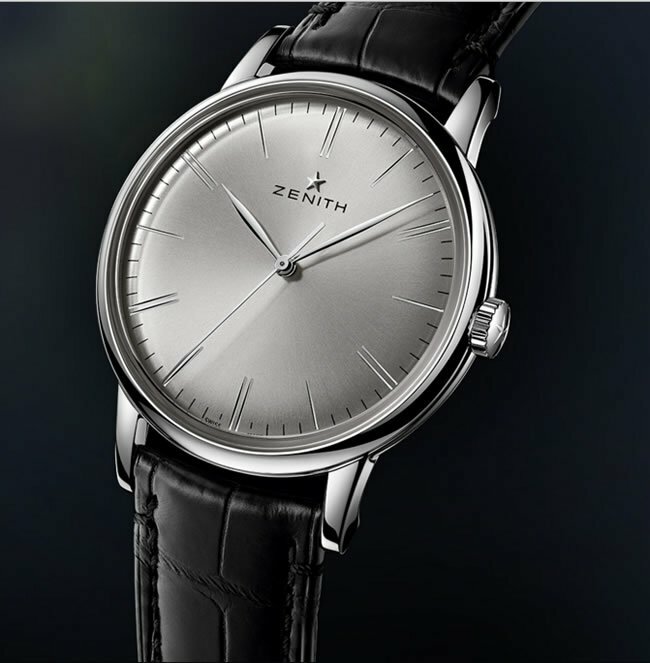 Embodying the core values of passion, elegance and sophistication, this timelessly elegant watch marks the transition between Zenith’s great history and heritage and its future-oriented vision. Equipped with the all-new Manufacture movement, the Elite 6150 calibre, this contemporary timepiece combines enhanced performance with understated elegance. The Elite 6150 offers a 100-hour minimum power reserve thanks to twin barrels equipping a movement measuring a mere 3.92 mm thick! 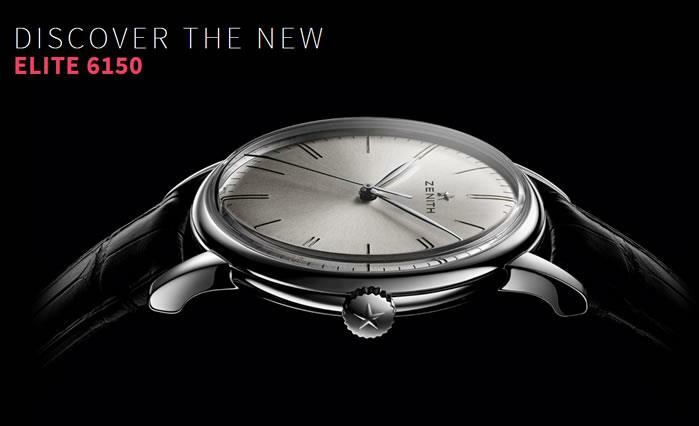 The Elite 6150 model features an entirely redesigned ultra-thin case of which the 42 mm diameter, a first for Zenith, will become a new benchmark size for the brand. Come and see for yourself the slender, pure design of the Elite 6150, now available at our Boutiques and authorised retailers. Zenith has prepared a special surprise for clients who acquire and register their new Elite 6150 until the end of the year. Learn more about this anniversary gift celebrating Zenith’s 150 years of history and be part of the legend.